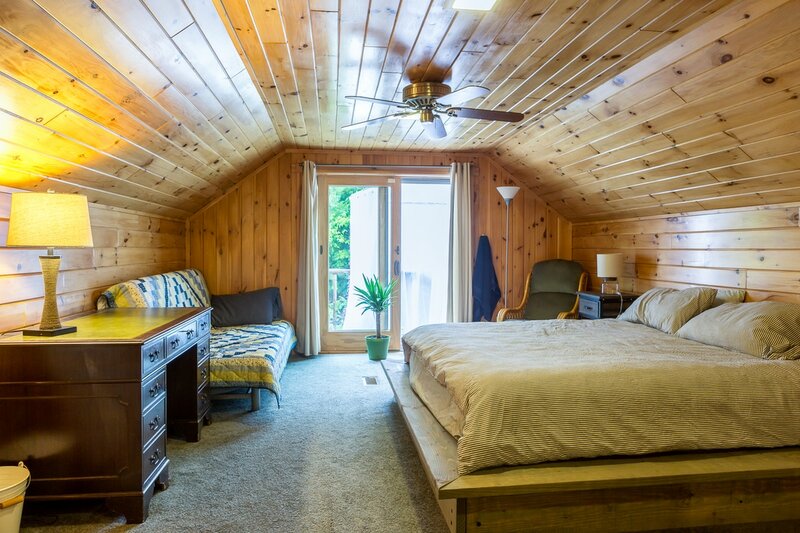 ​The spacious loft bedroom features a king bed and a full futon for a capacity of 2-4. 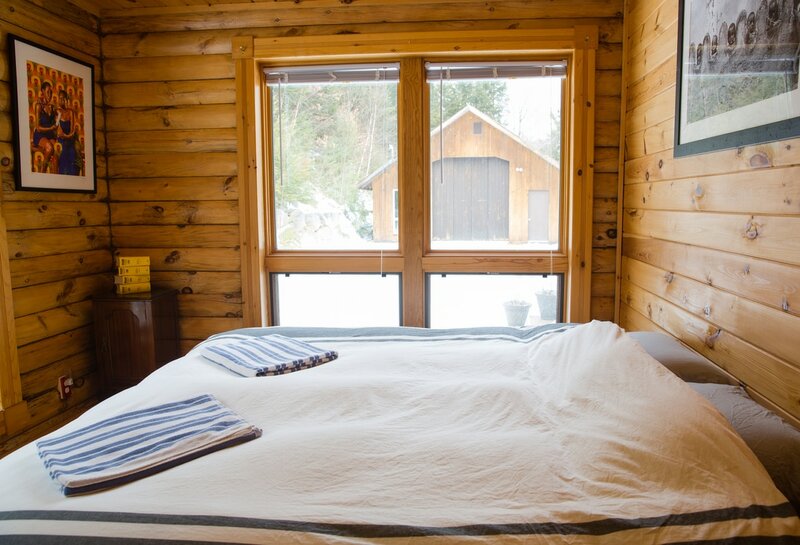 The room has a private half bath as well as an outdoor shower (with access to an indoor shower on the ground level). 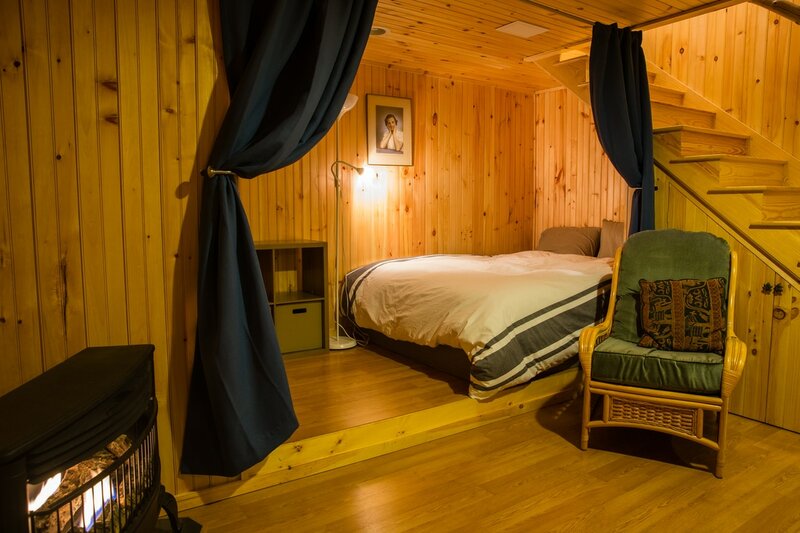 ​Outside of the bedroom is a lofted 'gallery' area with space for two queen-sized Japanese mattresses. This balcony is not fully enclosed and often used for staff or if the house is full of guests! Capacity 2. ​Private room on the main floor with a king-sized bed. 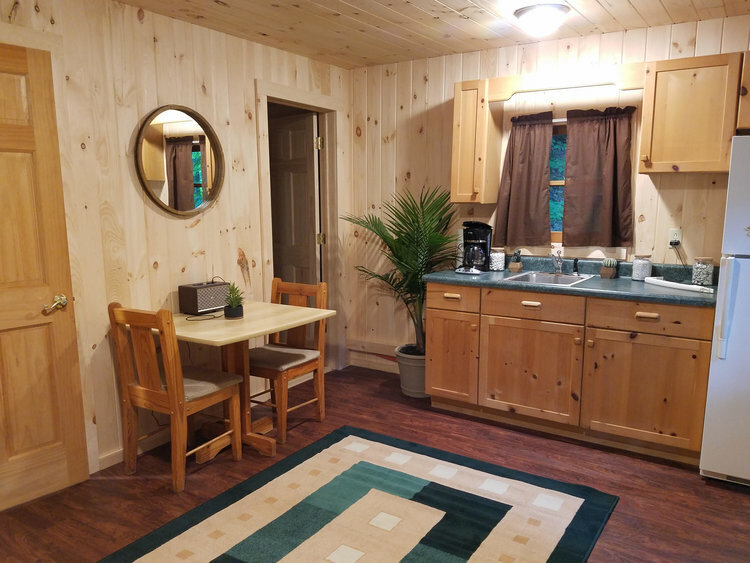 The room is next to a full bathroom that is shared with other guests. Capacity 1-2. ​This room features two twin beds that can also be converted into a king bed for a couple. There is a private full bathroom attached to this room as well. Capacity: 1-2. Features a full-size bunk bed. 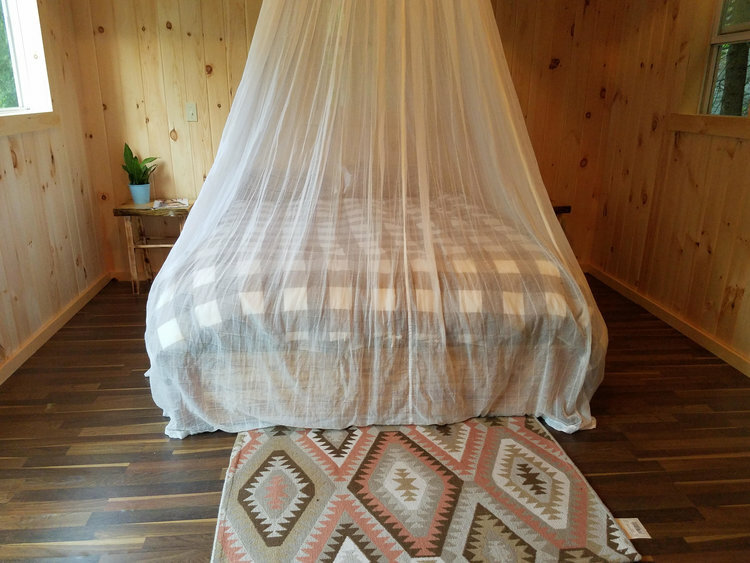 A third bed can be added. Capacity 2-3. 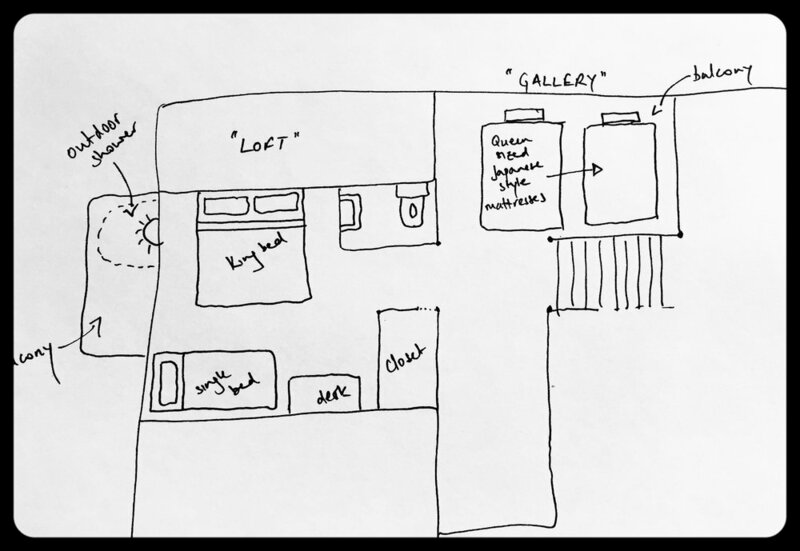 The dorm room takes you back to camp days with 3 bunk beds and a single for a capacity of 7. 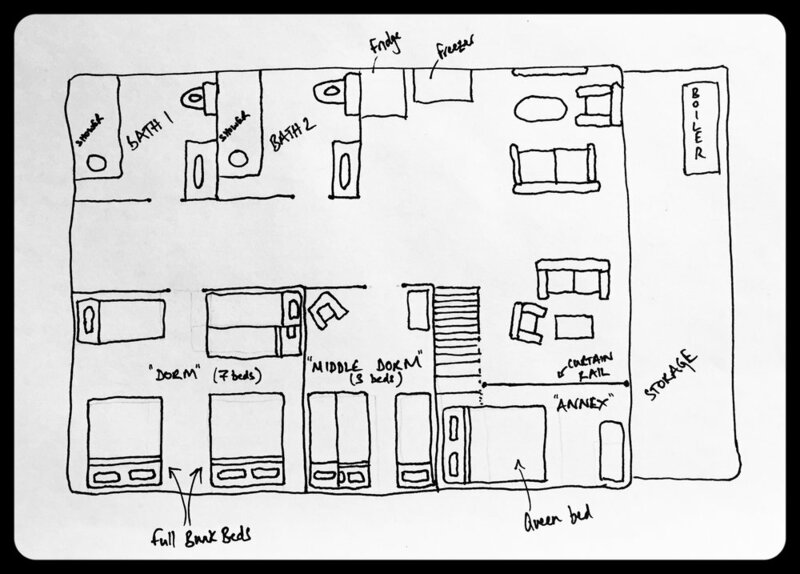 Some of the bunks are full-size and can fit 2 people, but that would be a tight squeeze! 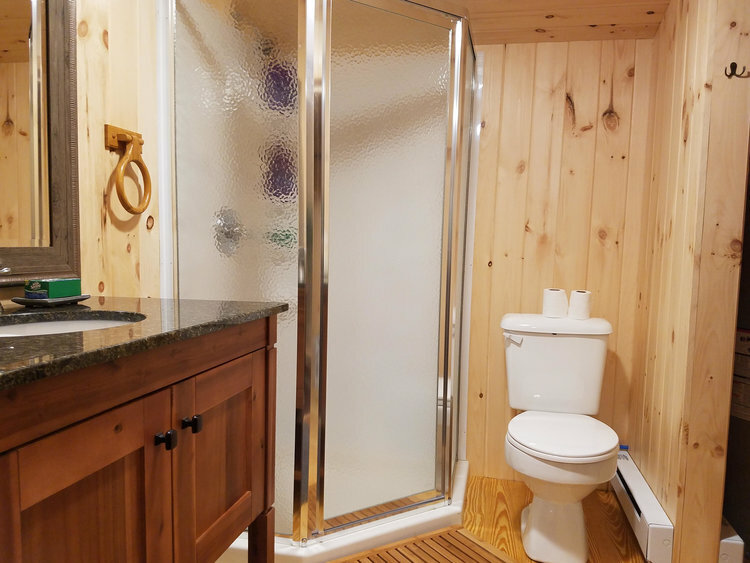 These rooms share two full bathrooms and can also use the full bath on the main floor. Located outside the main house and up a small hill, the ultimate 'glampsite' awaits! 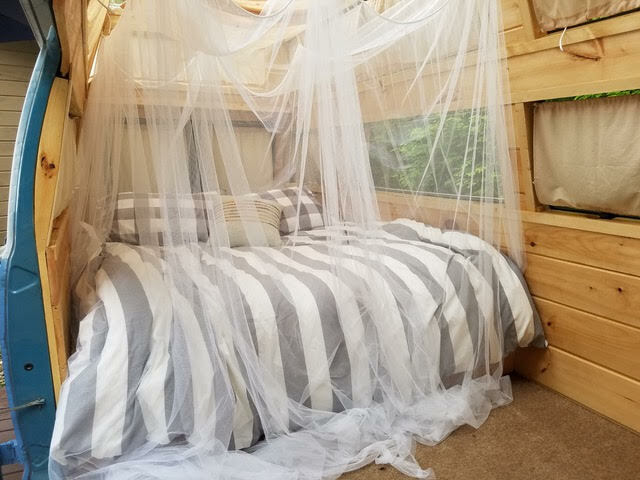 This spacious tent features two beds under an enclosed tent. 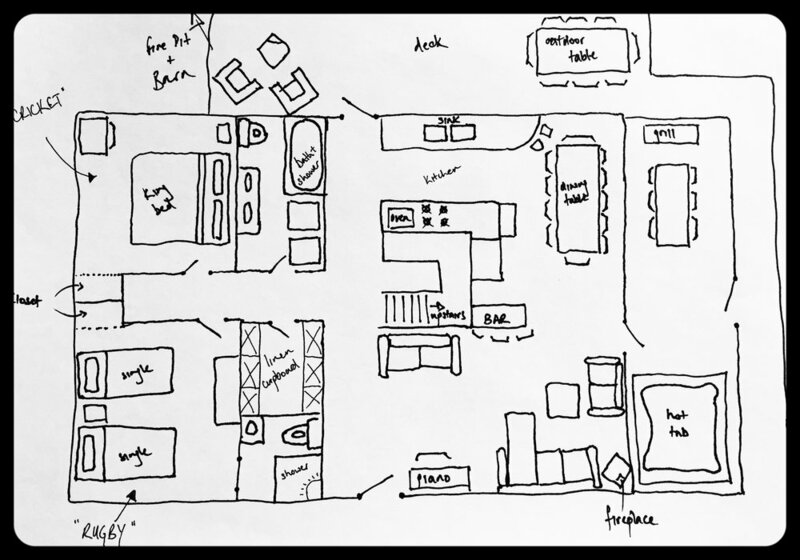 There is no bathroom in the tent, so guests will use restrooms in the main house. Capacity: 2. 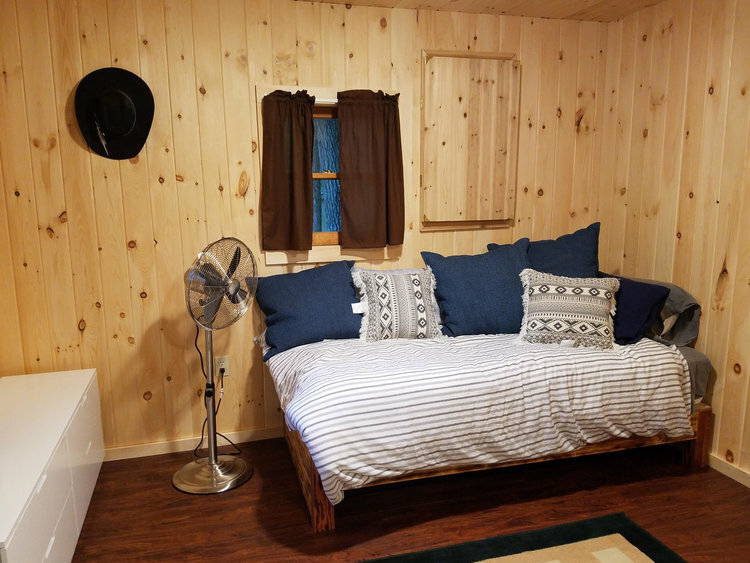 Private cabin down the road from the main house featuring a queen bed. 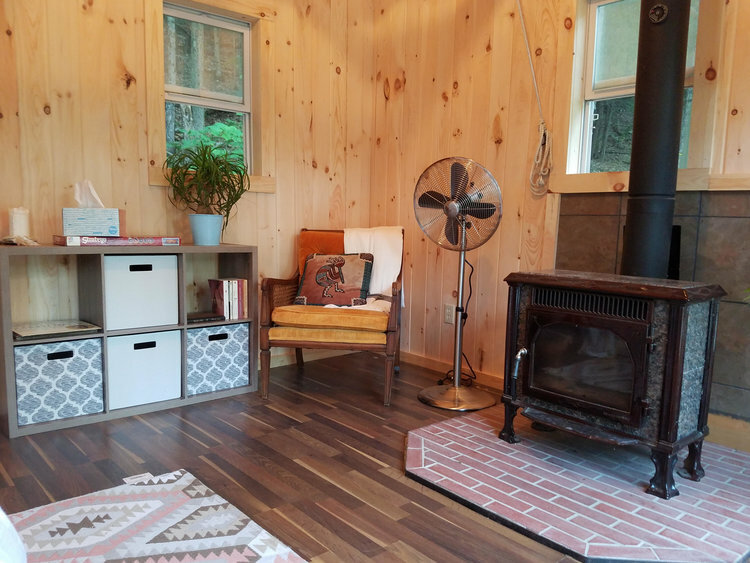 There is no bathroom in the cabin, so guests will either share the bathroom of the next-door Oxford Cabin or in the main house. Capacity: 1-2 in a shared bed. 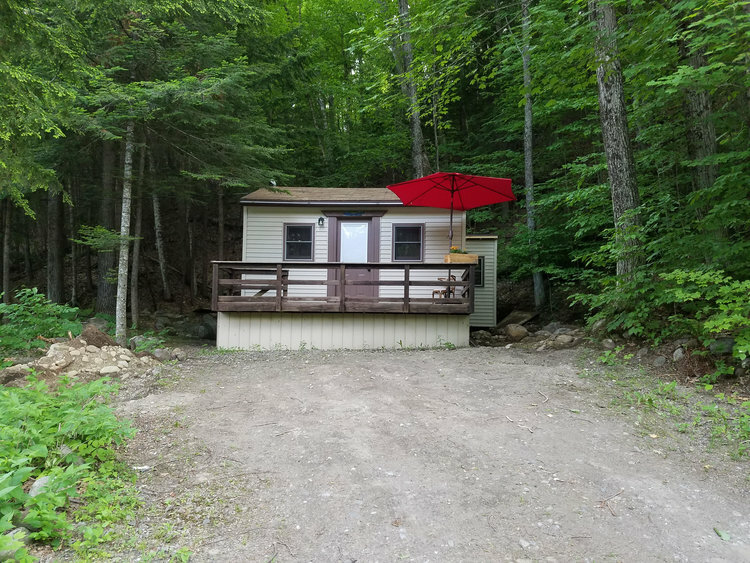 Private cabin down the road from the main house featuring one bedroom with a queen bed. 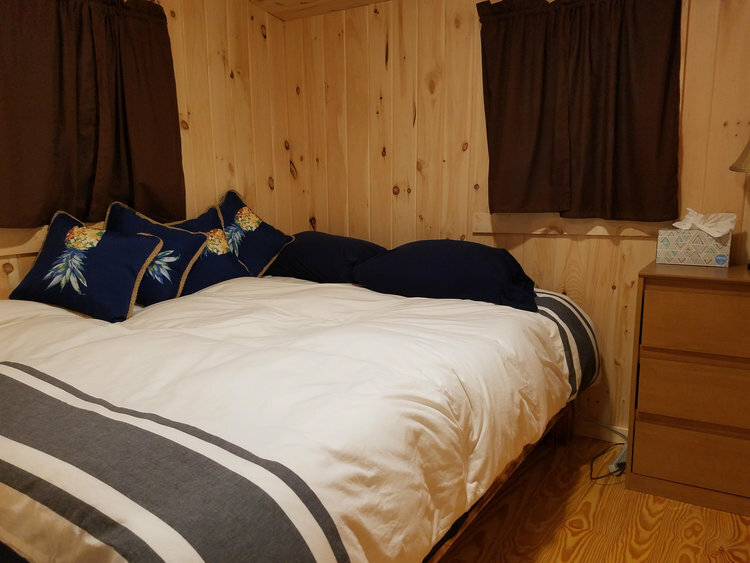 In the main room of the cabin is a second bed, a kitchen, and a full bathroom. Capacity: 2-4. 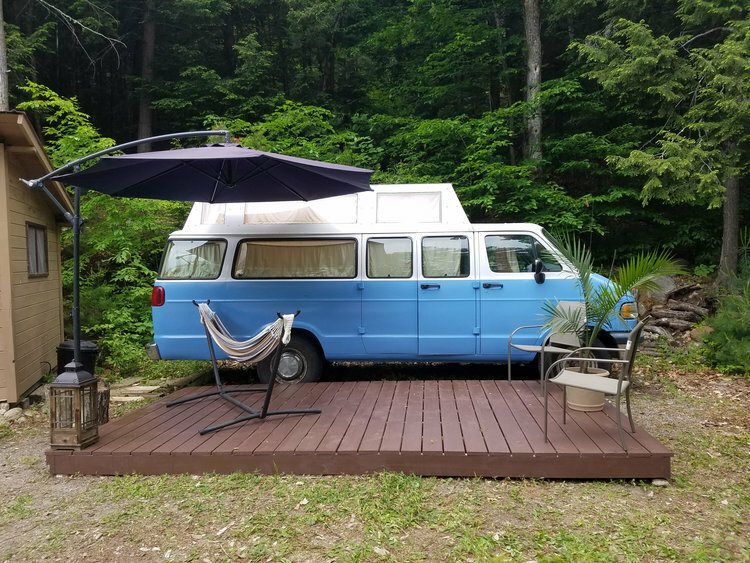 For the hippie in all of us, this converted van is the most fun place to crash! 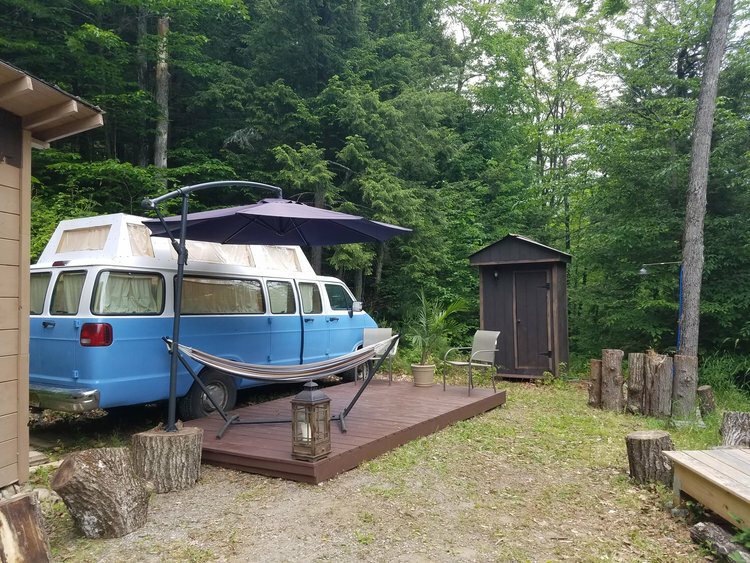 Simple, with just a bed and a small couch, the van is situated behind the main house with a clear view of the night stars. 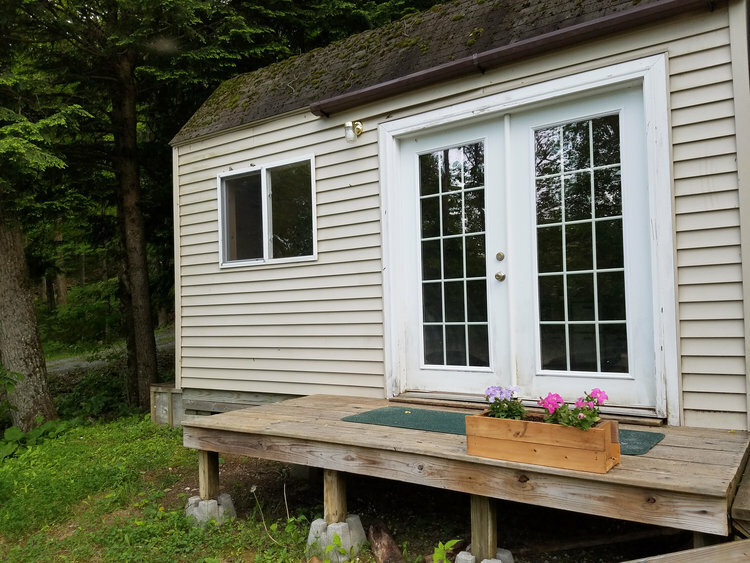 Steps away is a 'luxury' outhouse complete with a flushing toilet and running water. Capacity 1-2 in a shared bed.